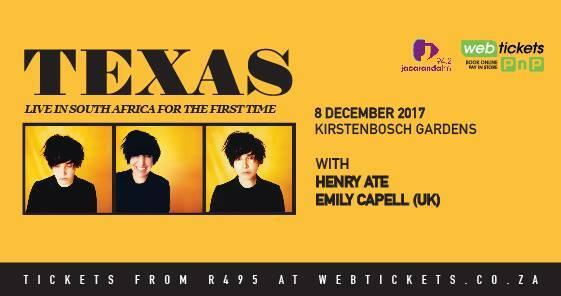 Hot on the heels of the release of their latest album Jump On Board earlier this year, chart-topping and effortlessly cool alternative pop-rock band TEXAS will be touching down in South Africa this summer for an exciting two-city tour. Now fans of the Scottish band, who grew up listening worldwide hits like Summer Son, I Don’t Want a Lover, Say What You Want, Halo, Everyday Now and Tell Me Why, will get to sing along to these and other incredible songs when TEXAS performs live at Cape Town’s Kirstenbosch Gardens on Friday 8 December 2017. TEXAS will be supported by Henry Ate and the UK’s Emily Capell. For over three decades, TEXAS has produced hit after hit and thrilled audiences around the globe. One of the longest touring bands in the industry, the release of Jump On Board this past April reintroduces the band to old fans and opens them up to a new market with singles like Let’s Work It Out and Can’t Control. 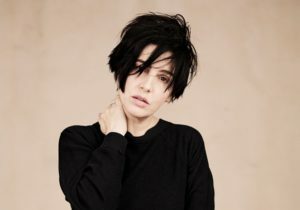 Frontwomen Sharleen Spiteri’s soulful and melodic voice remains an iconic testament to the band’s longstanding success. Tickets are sale for R495 through Webtickets https://www.webtickets.co.za/event.aspx?itemid=1472017464 and selected Pick ‘n Pay stores. TEXAS Live in South Africa for the First Time, Playing All Their Hits is proudly brought to you by We Are Live.